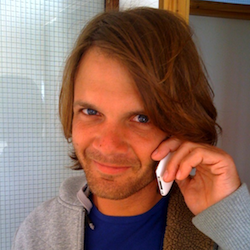 Martijn Arts has co-founded a web agency in 1996 whilst being a student. From then on, he worked as an agency for clients but also produced innovative new products and startups. In 2006 he sold his company to Total Identity and became part of this renowned agency that celebrated its fiftieth anniversary in 2013. He introduced the first narrowcasting network (1999) in the Netherlands, experimented with the first Location Based Service together with Vodafone (2003), co-created the software for house style management that is now used by our entire government and is now also shareholder of the new and successful startup 3DHUBS. Martijn is an ‘agency-guy’, he loves to work for other companies and persons. He also lectures at Nyenrode Business University in a MBA course for CIO’s, at the Open University on Engagement Marketing and he is part of the NIMA Marketing Awards Jury. Graduated from Industrial Design Engineering at the Technical University Delft, Martijn always tries to combine business, creation (and creativity) and technology.